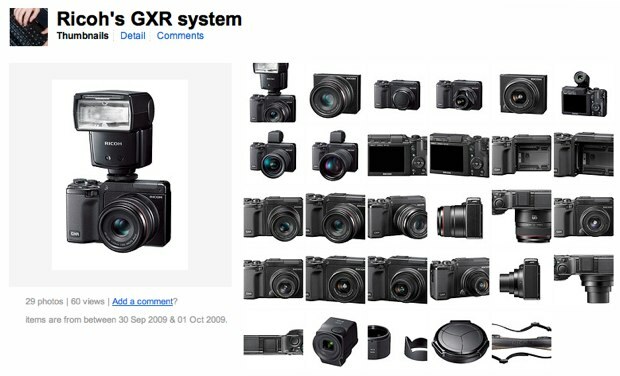 The Ricoh GXR, released on Nov 10, 2009, is touted as the world’s smallest and lightest interchangeable lens digital camera system. 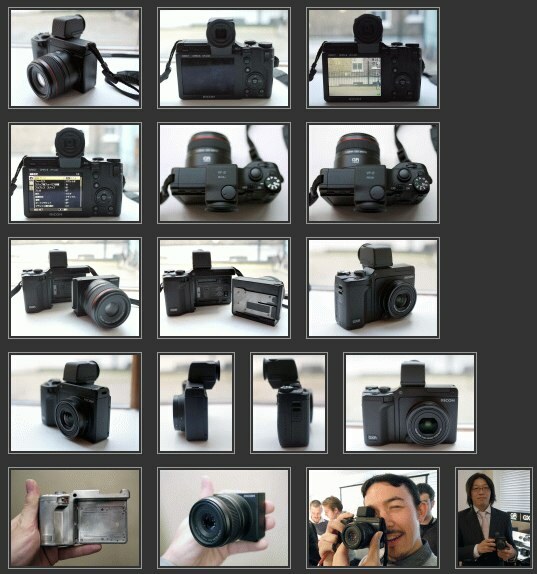 This photo of a guy holding up the Ricoh GXR + VF-2 External Viewfinder + A12 50mm f/2.5 Macro GR LENS with APS-C 12.3MP CMOS Sensor combination to his face shows how small the new GXR system is. 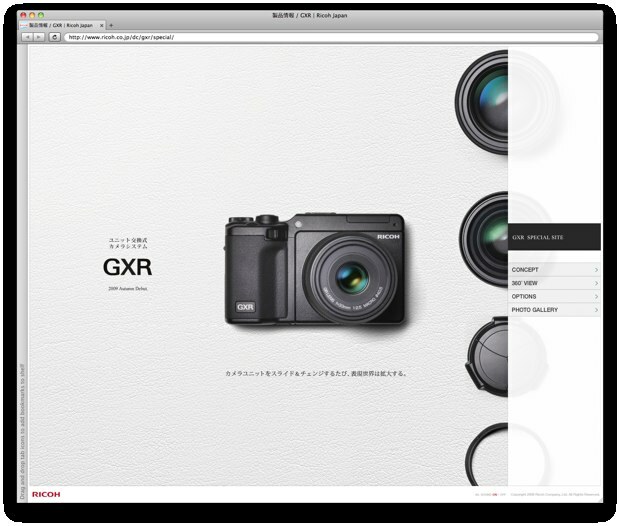 The Ricoh GXR seemed easy enough to use, however the focusing did seem a little slow in our tests with the 24-72mm lens. The camera is happy enough to snap away indoors without resorting to the flash, with acceptable results in Auto mode in the few test shoots we took. We’ve included a test shot below shot using the teleconversion kit and hood, handheld at F/2.5, 1/30sec exposure, ISO 400 and there seems to be a good deal of punch to blues on the bottles, and sharp reflection detail. 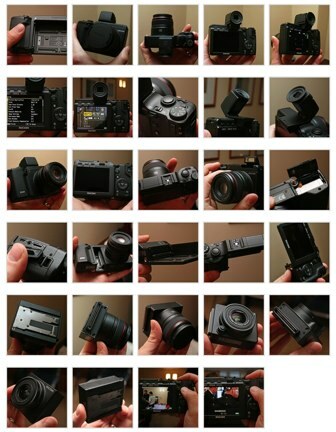 Understanding the Ricoh GXR at Pocket Lint — There’s a block diagram and a brief explanation about how the two initial lens / sensor offerings — GR Lens A12 50mm F2.5 Macro and the Ricoh Lens S10 24-72mm F2.5-4.4 VC (vibration compensation) — integrates with the camera body. 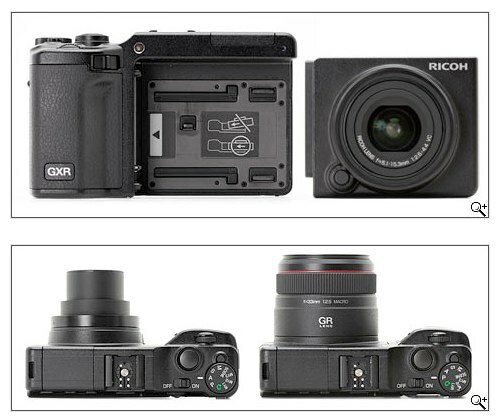 DPReview — Ricoh announces the GXR interchangeable unit camera system. Ricoh Japan press release (Google’s English translation). Expected availability is early December, 2009.